Here we give you an overview of what development stages of motor skills occur during the first 20 months. Please note: every child develops in their own, individual time. Many children will go through the different development phases one after another, others all at the same time. If you have any doubts regarding the development of your baby, please consult your paediatrician. Your baby makes uncontrolled movements that are strongly determined by (involuntary) reflexes. If you give your baby a finger, they will cling to it immediately. If you stroke the sole of their foot, the little foot will curl in as if to grab something. Your baby can hold his/her own head up when on his/her stomach or sitting. Your baby can hold on to an object briefly. Your baby begins to turn: first to the side, then from stomach to back and then from back to stomach. Objects are picked up with both hands at first, later smaller objects can be picked up with one hand and transferred to the other. This is the latest that you should make the flat baby-proof: your child begins to move around independently (crawling, shuffling), and learns to sit. 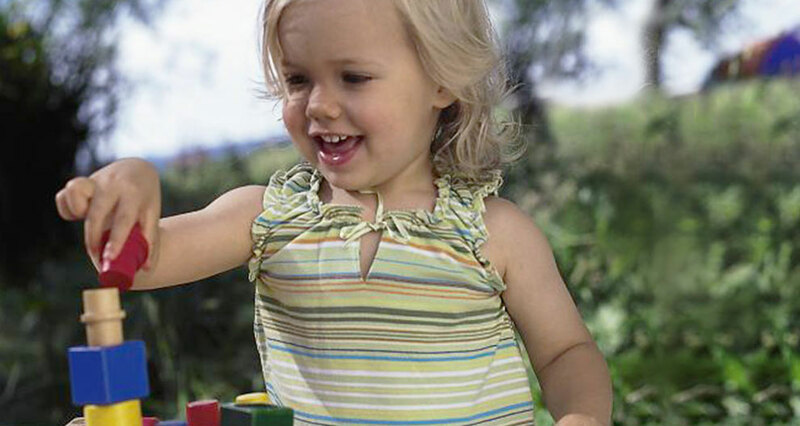 Small objects can be picked up by thumb and forefinger (scissor grip), later your baby can also pick up e.g. a crumb with his/her finger tips (tweezer grip). Your child can sit up alone and unaided. Your child learns to pull him/herself up on furniture and move along holding on. Your child can walk unaided and discovers the world on his/her own two feet. Your baby will teach him/herself to crawl, sit and walk as soon as he/she is ready to do so. Some children simply leave out one development stage, e.g. shuffling or crawling, others develop their own special ways of moving around, e.g. rolling. You can encourage your baby in his/her movement by giving your baby the possibility to practice and gather experience. Lay your baby on a blanket on the floor as often as possible and let him/her kick. When your baby is awake, alternate lying it on his/her stomach and back. For a short time your baby can also sit up straight in a baby chair. Make lots of room for your baby in your flat by getting rid of sources of danger. Your child can now move unrestricted.